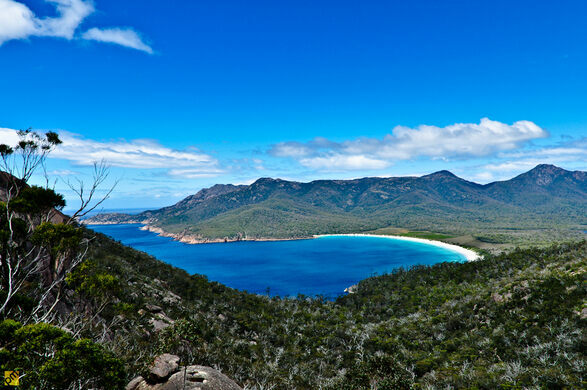 Voted by several travel authorities one of the best beaches in the entire world, Wineglass Bay is famous for the red and pink granite formations that make it so beautiful to tourists. The Devonian Granite is the dominant type of rock in the area. A pink feldspar that gives the coastlines their characteristic pink tint, the rock is also mixed with white quartz and other types of rock. The crystal clear water isn’t so bad either. "The Wonder From Down Under," a worm shaped museum celebrating the endangered Giant Gippsland earthworm. 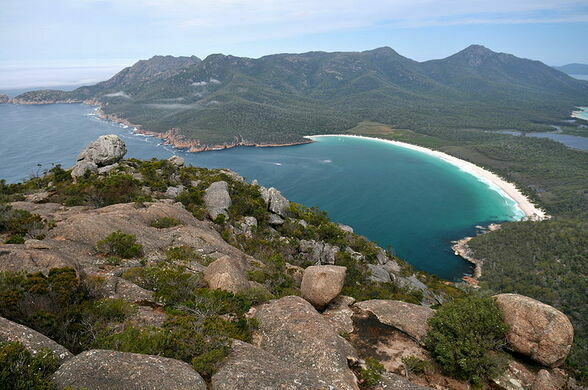 Recognized around the world as one of Tasmania’s iconic destinations, Wineglass Bay is more than just a place to picnic or camp. Wineglass attracts tourists who are looking to do some birdwatching (white-bellied sea-eagles are plentiful), deep sea fishing, scuba diving, mountain biking, beach walking, and rock climbing. 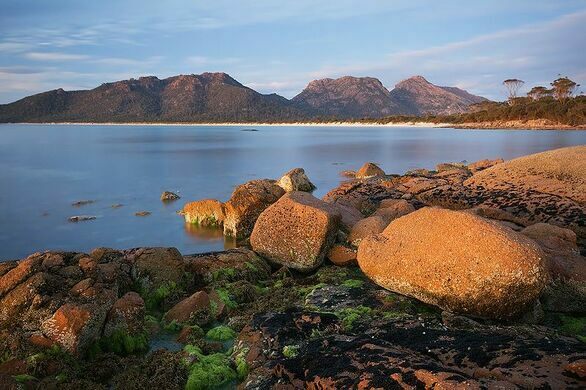 Freycinet is one of the oldest parks in Tasmania, having been founded in 1916 along with Mount Feld National Park. 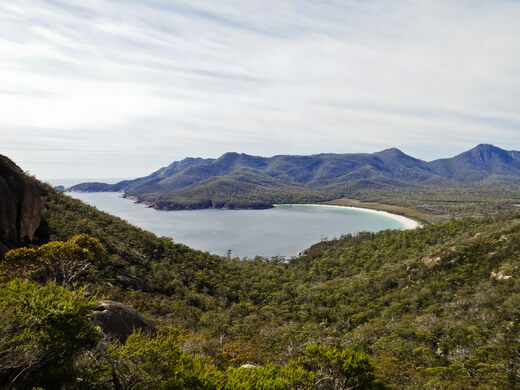 The park is home to not just Wineglass Bay, but also 49 endemic species of plants and several animals, including the Brushtail Possum, the New Holland Mouse, the Tasmanian Bettong, and the Long-nosed Potoroo. 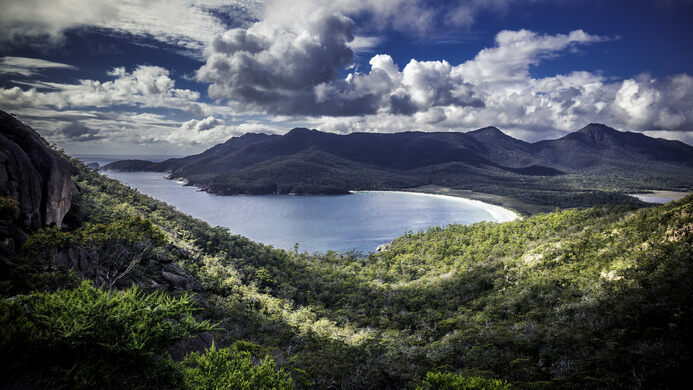 Wineglass Bay is approximately 2.5 hours drive from Tasmania’s capital, Hobart (195 kilometres/121 miles) and around two hours’ drive (175 kilometres/109 miles) from Launceston in Tasmania’s north. A granite waterfall cascading down is one of the highest multi-tiered falls in the state.